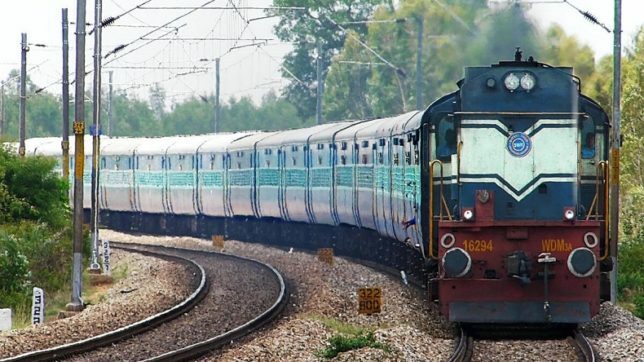 IRCTC ticket reservations rules: The Indian Railway Catering and Tourism Corporation (IRCTC) has revised its rules for booking train tickets online. The Indian Railways, world’s fourth largest railway network, has brought in changes in an effort to aid travellers. Now, tickets can be booked up to 120 days in advance, an Aadhaar-verified user can book 12 tickets every month and passengers can now claim refunds if the train fails to depart within three hours of the scheduled departure. Now, online ticket booking has been made time sensitive. This means, 25 seconds has been allotted to fill up passenger details. Further, the minimum input time for Captcha on passenger details page and payment page is 5 seconds. 1. A passenger can book online tickets 120 days in advance, excluding the date of journey. Six tickets can be booked monthly from one user ID, and 12 if the user is Aadhaar-verified. A maximum of two tickets can be booked from one ID during 8-10 am. 2. Tatkal tickets can be booked a day before travel, starting 10 am for AC coaches and 11 am for sleeper class. 3. From a single user ID, only two Tatkal tickets can be booked in opening Tatkal from 10:00 am to 12:00 noon. 4. In case of Tatkal bookings, a maximum of six berths/seats can be booked at a time for a specified journey between any two stations served by the train subject to distance restrictions in force. 5. Only one Tatkal ticket can be booked in a single session (except return journey). 6. Single page or quick book services are not available between 8 am and 12 noon. One user can have only one log-in session at a time. Captcha is available at login, passenger detail and payment web pages. 7. Agents are allowed to book tickets between 8 am and 8.30 am, 10 am and 10.30 am and, 11 am and 11.30 am. Authorised travel agents cannot book tatkal tickets during the first 30 minutes after online reservation opens. This is to prevent them from booking several tickets in a short span, and give passengers time to book tickets for themselves. 8. Online ticket booking has been made time sensitive. The standard time to fill up passenger details is 25 seconds. The minimum input time for Captcha on passenger details page and payment page is 5 seconds. 9. For payment through net-banking, subscribers of all banks will now have to verify themselves with a one-time password (OTP). * if the train doesn’t depart within three hours of the scheduled departure. * if the train’s route has been diverted and he/she doesn’t want to travel on that route. * if a passenger has been shifted to a lower class than what the ticket was booked for provided he/she doesn’t want to travel in the changed class. But, if a passenger is willing to travel in the lower class, he/she will be paid back the difference. The Railways has also made it possible for you to transfer a confirmed ticket to a second passenger in the case that you cannot travel. Chief Reservation Supervisors have been authorities to permit change in name of passenger 24 hours before the scheduled departure of the train. The ticket can be transferred to another member of his family, including father, mother, brother, sister, son, daughter, husband and wife.